Maimi reveals the origin story of Eyepatch Airi and talks S/mileage’s new members in her October 5th update “news (O_O)“. Full translation below. Posted on October 18, 2014, in Blog, Translations and tagged Yajima Maimi. Bookmark the permalink. 3 Comments. 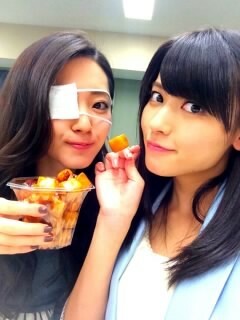 I’m gonna sound goofy here (I usually do anyway) but Eyepatch Airi is really cute. I think these girls can make anything look cute.